After announcing last month that Steve McQueen‘s Widows will open the 2018 BFI London Film Festival, we’ve now got all the news for the Closing Gala, which includes the world premiere of the eagerly anticipated Stan & Ollie. The World Premiere of the film will take place on 21st October at the Cineworld, Leicester Square, attended by Steve Coogan and John C. Reilly, who star as the legendary movie comedy duo. Director Jon S. Baird, BAFTA Award-winning writer Jeff Pope, producer Faye Ward and cast members will also be in attendance. 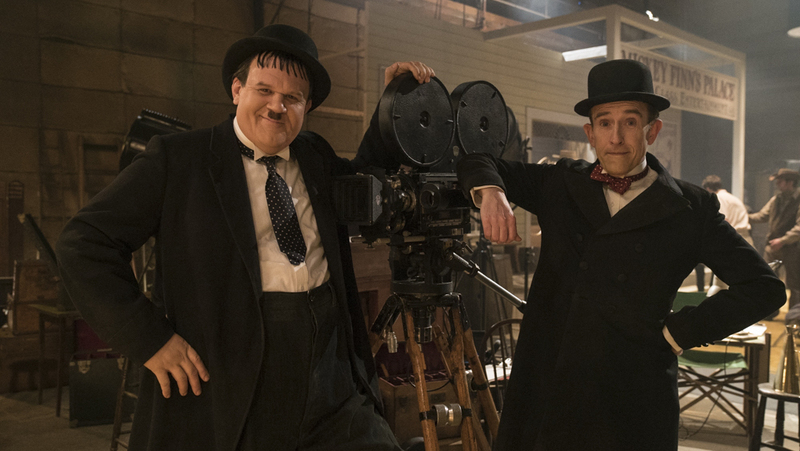 Stan & Ollie is the true story of Hollywood’s greatest comedy double act, Laurel and Hardy. Brought to the big screen for the first time and starring Coogan and Reilly as the legendary movie icons, Stan & Ollie is the heart-warming story of their journey around the UK and Ireland in what would become the pair’s triumphant farewell tour. Despite the pressure of a hectic schedule, with the support of their wives Lucille (Shirley Henderson) and Ida (Nina Arianda) – a formidable double act in their own right – the pair’s love of performing, as well as love for each other, endures as they secure their place in the hearts of their adoring public. Tags: BFI, BFI LFF, BFI London Film Festival, Film Festivals, Gillian Flynn, John C. Reilly, Jon Baird, Jon S. Baird, LFF 2018, Nina Arianda, Shirley Henderson, Stan & Ollie, Stan and Ollie, Steve Coogan, Steve McQueen, Tricia Tuttle, Widows. Bookmark the permalink.